Orlando is one of the biggest cities in Florida and as as a result it possesses some of the biggest technological centers and some of the most modern conveniences that you can possibly have in terms of living luxuriously. However, there are also a number of suburban neighborhoods in Orlando outside of the city center that do not move quite so fast and are less busy to live in. It is in these parts of Orlando that we can help customers who are still using well water to feed their homes. We are also aware that many of our customers who might have wells on their property do not actually use them as a water supply, preferring to pay for a water line from the city, as it is in many regards an easier process than personally caring for your own water source. While we understand that viewpoint and can help our customers regardless of their water source preferences, there really are a number of benefits to using well water over city water. With city water you are using the same water that hundreds or thousands of others are still using, which mean if there is bacteria that leaves that source you are exposed to it too. 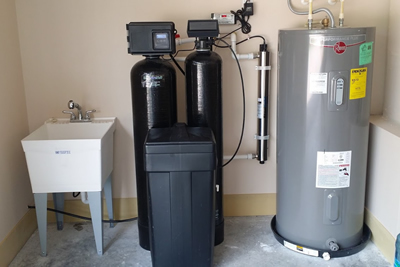 Additionally, well water comes through a filter that we install in your well, so you do not have to worry about the water traveling through miles of old pipes carrying, heaven only knows, what might be harmful to your home. Well water filters provide a safer and more secure water source for many customers. Email us now by filling out the form to the right.